Simple Change, Big Impact – We make and sell dryer balls! Chemicals in dryer sheets are toxic and can be inhaled and absorbed into your skin. They also can take years to break down in landfills. Raw materials are from local wool mills that use wool that felts easily. Loohoos don’t wear out quickly. Cyndi launched the company in 2010. The company grew through word of mouth. She set up an e-commerce website and in 2011 started to approach retailers, especially baby stores, moving on to green stores, co-ops and whole foods in 2012. Loohoo is still a home based business. 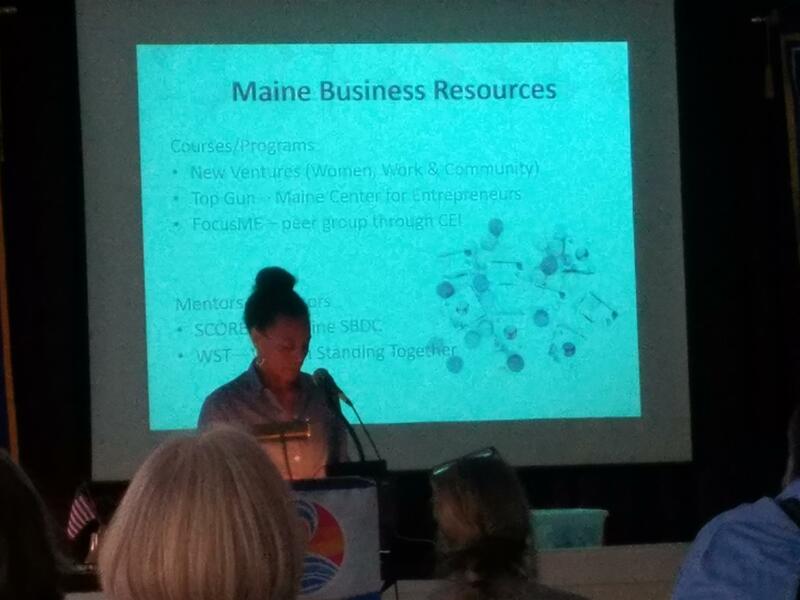 In 2014, Loohoo won an SBA award that brought in a lot of press and help boost the product. Cyndi started attending tradeshows in 2016 and began adding more products in 2018. Cyndi has degrees in Geology and Art. She focused working with bloggers in the beginning with product reviews, used social media and giveaways that really and still helps grow the business. Loohoo sells to over 300 retailers throughout the US and have sold over 125,000 Loohoos. Currently Cyndi is focusing on growing and developing new products. Her busiest seasons are summer for shows and Christmas for products. Welcome into membership: Mimi Edmunds brought into West Bay Rotary by Deb Hitchings! Snowbowl signup, need a few more on Sunday! Leamon: Baird's renewed, 16 Bayview Hotel and Etienne Perret are new gold sponsors! Chili Challenge: Sponsorship is $75, looking for more members of chili challenge event and sponsors! Etienne - Apr 30, district grant application due, ideas? Peter: Duck Derby, Lucky is getting a brother or sister! Need a small group for prizes and sponsors. Working on how to collect all the ducks! 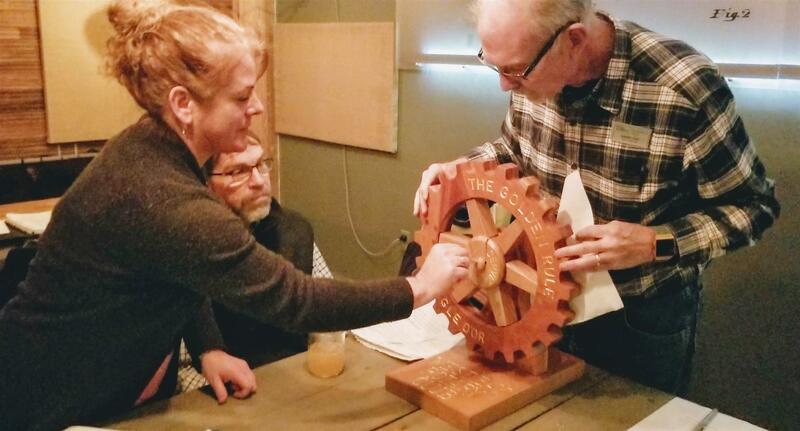 West Bay Rotarian Sandy Cox assembling the Rotary Wheel, As a group, they continue learning about Rotary and how we can incorporate those "service" values into our lives. Discussion of Volunteer Opportunities/Resources discussed and creating a webpage where member could find one time and on-going needs for volunteers.